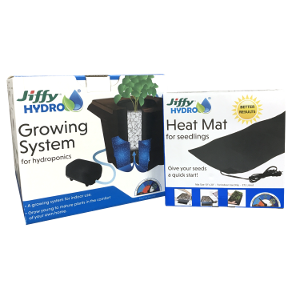 Set up your own hydroponic or seed starting system with equipment from Jiffy. Easy to use heating mats, hydroponic trays, fertilizers and soil supplies make gardening a breeze! Start an indoor hydroponic (water) herb garden and have fresh spices all season long!